would you like to be a speaker in the next cei venice forum? Are you a contemporary art curator under the age of 35, born in one of the CEI countries (*)? 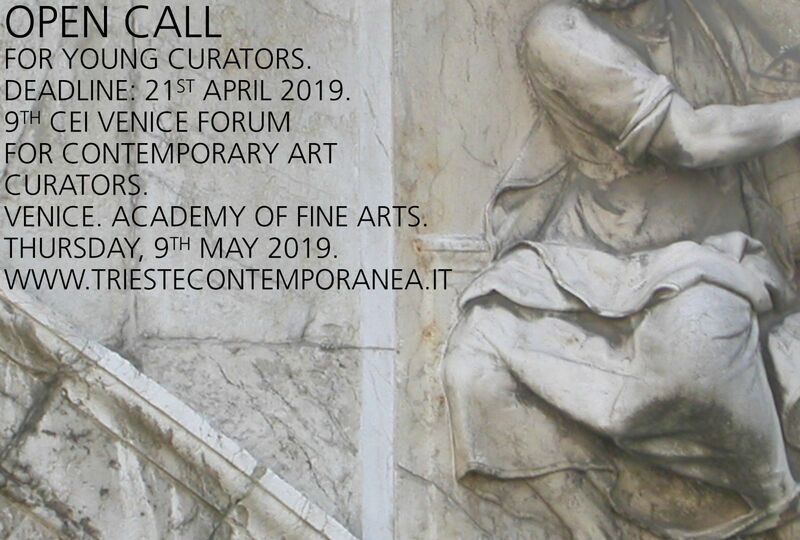 You could have the opportunity to meet international curators and experts and share your thoughts on art at the 2019 CEI Venice Forum, due to be held on 9th May 2019 at the Academy of Fine Arts in Venice. - an ABSTRACT of an art initiative that you are organising in 2019 or that you would like to organise in the period 2019-2020 (max 500 words + some images of the works by artists involved). - your ANSWERS to the questionnaire below (max 500 words). - a brief CV of yours. If you are selected, you will be informed by email, by April 23rd 2019. Your documented travel costs and accommodation (up to 250€) will be refunded. Forum’s working language will be English. 1. From which point of view are you looking at the facts of today's contemporary art? 2. What effervescible is there in the air, which significant new trends? 3. Who is a young artist who you are interested in? 4. Can you point out an artist from your country who should absolutely be present in a new updated handbook on European contemporary art? 5. What is positively new in the last years development of the art world/system? 6. What ongoing action you know you would define good public policy for contemporary art? Or what should not be missing yet to be done? 7. A book or an essay that every curator should read? 8. A topic for an exhibition or (historical) research you believe should absolutely be developed now? (*) CEI Member States: Albania, Belarus, Bosnia and Herzegovina, Bulgaria, Croatia, Czech Republic, Hungary, Italy, Moldova, Montenegro, North Macedonia, Poland, Romania, Serbia, Slovakia, Slovenia, Ukraine.